I finally finished my napkin wreath. These are very time consuming, but I really like them. I saw one on Living Locurtos blog and she has a very good tutorial here. Do the napkins look familiar? 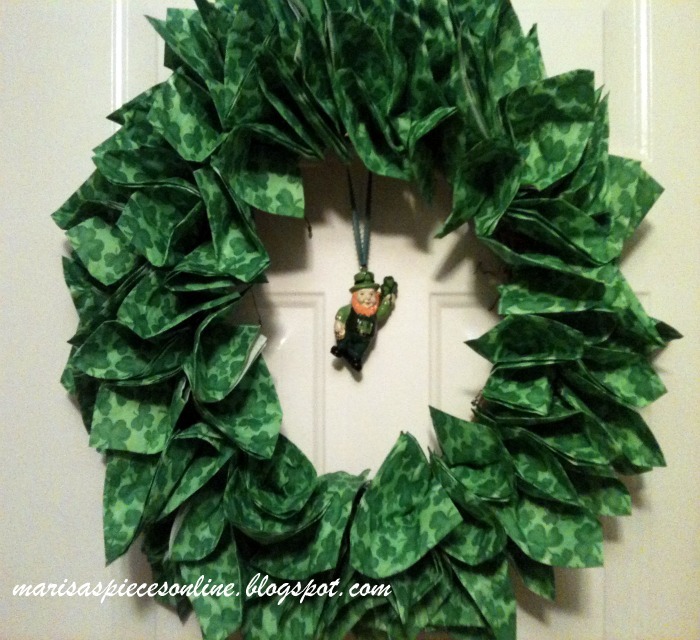 These are the napkins that I used on my Lucky frame and then I just hung this Leprechaun in the middle. Isn't he cute? I found him at Michael's and it was a pick and I just cut that part off and put an eye screw in the top for the ribbon to go through. I'm looking for some cocktail napkins that are zebra print with pink but I haven't been able to find those yet. I love zebra print with pink as ya'll can tell by my blog background.hehe When I find them I will make another one to show all of you. 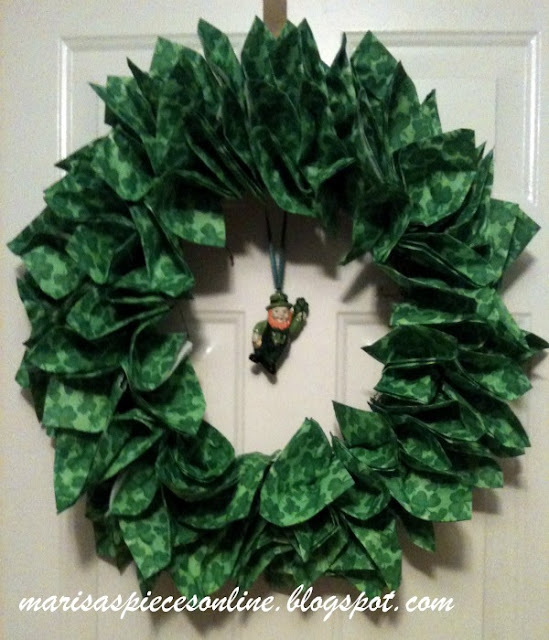 Love this wreath...you have a really nice blog! I'm your newest follower and I'd love for you to come visit my blog sometime. Have a great weekend! 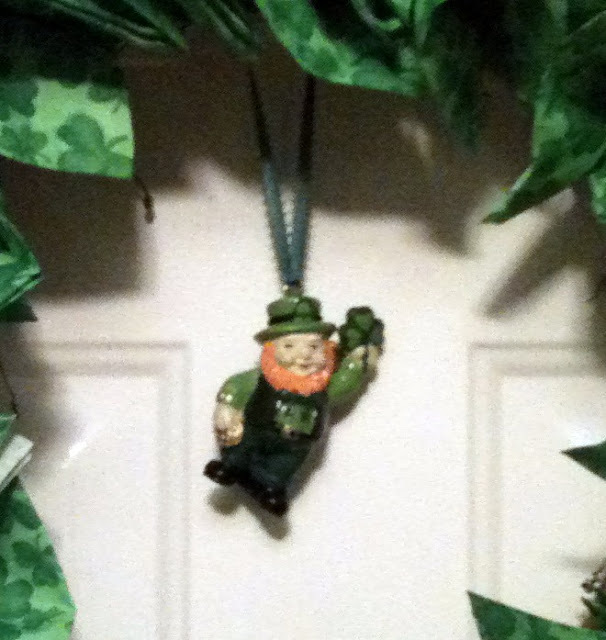 Love the St. Patty's day wreath!! Hope you have wonderful SP'sD next Saturday!! We will be celebrating my Daddy's Birthday. Smiles :) Thanks for linking up at SweetTalkin' Sunday Linky Party!